Archibald McMILLAN and Flora McMcINTYRE from the Isle of Mull, Scotland, married in 1815 (Kilninian & Kilmore Parish) and along with some of their children emigrated on the "New Zealander" which arrived at Portland, Victoria in 1853. The record can be found through the HIES records. On the "New Zealander" were Archibald (60) from Oskamull, Flora (60), Anne (29), Christy (27), John (23) & Alexander (18). It would appear that the parents understated their ages for the passage which was a common practice. The family is also able to be located through the 1841 and 1851 Census data for Mull. Archibald and Flora MacMILLAN were married 20 May 1815. Their name become McMILLAN in Australia. Archibald's parents on his death certificate are: Archibald MacMILLAN and Christina MacCORMACK. Flora's parents on her death certificate are: Angus McINTYRE and Christina MacCORMACK. It appears that another son Angus McMILLAN travelled on a different ship as he appears as a death in Natimuk in 1902 with the above parents. After the arrival of the "New Zealander" at Portland, Alexander was engaged by Mr Flower of Belfast for 1 month and John was engaged by Mr John Newton of Cape Nelson for 3 months, Christy was engaged by John Moody of Wando Dale for 12 months and Anne engaged by McConachie of Norvale for 12 months. Their son John McMILLAN married Margaret McDONALD, the daughter of John McDONALD & Flora LAMONT from Hotspur, at Digby in 1864. This McDONALD family also arrived on the "New Zealander" in 1853, coming from the Isle of Skye. Margaret's parents were John McDONALD and Flora LAMONT, and her father's brother was Hector McDONALD who came to Australia on the "St George" in 1836. When the family came in 1853 he was already in Victoria, having come to SW Victoria via Sydney and Melbourne. In 1870, 89 year old Flora McMILLAN (nee McINTYRE) died and was buried in the Branxholme Cemetery. Next year, 95 year old Archibald McMILLAN was injured by a bolting horse at the races at the "Waterloo Inn", Tahara on 26 Dec 1871 and died from these injuries 3 days later. He was also buried in the Branxholme Cemetery. Sarah (Marion) McMILLAN b. ca 1822, Isle of Mull, Sct m. 1845, Isle of Mull, Scotland to Neil McLEAN, had a family and remained on the Isle of Mull, Scotland. Christian 'Christy' McMILLAN b. 1826, Isle of Mull, Scotland d. 1870, Branxholme, Victoria. Christy, a domestic servant was engaged by John MOODIE of "Wando Dale" Station in 1853. Mary McMILLAN b. ca 1830 Isle of Mull, Sct and was christened on the same day as John McMILLAN, 27 Nov 1830 in the parish of Kilninian & Kilmore, Isle Of Mull, ARL, Sct. Perhaps she died young, she was not on the "New Zealander" in 1853? 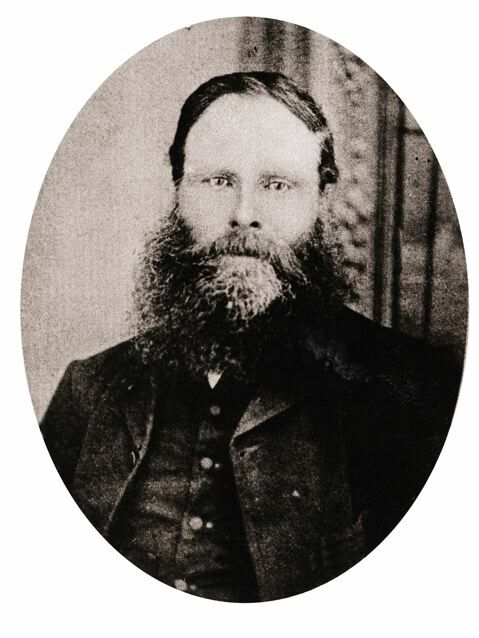 Alexander McMILLAN b. 1835, Isle of Mull, Scotland, arrived on the "New Zealander" in 1853 and employed by Mr FLOWER of Belfast for 1 month. After that.......................?